Wow! It's the last day of January and I feel like I'm behind on my Valentine's day cards. I decided to dig through my background basket where all of my art panels end up. I came across this nail polish marbling panel that I created last summer. I thought these colors of nail polish were perfect for Valentine's day. 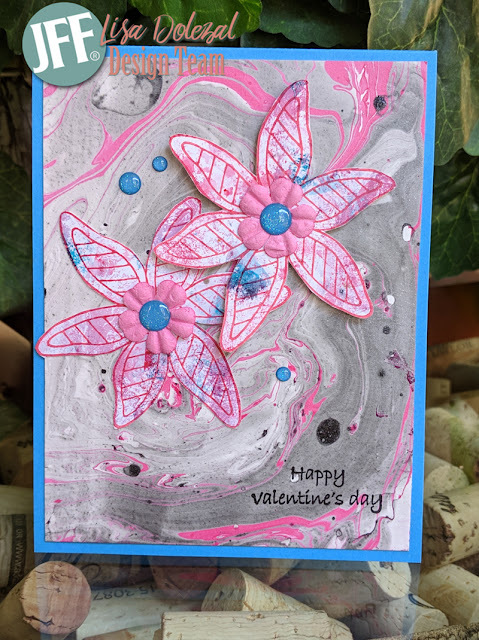 The backgrounds for the poinsettia lined flowers were stamped on another art panel created by using glossy photo paper and color bursts. 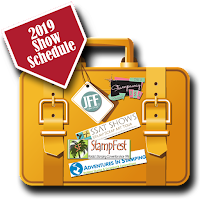 Just for Fun stamps and sentiment. Club Scrap papers and acrylic dots. Prima flowers. 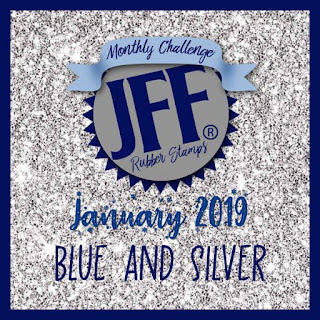 Today is the last day to join us for our Blue and Silver challenge so link up your projects for a chance to win a Just for Fun gift certificate.